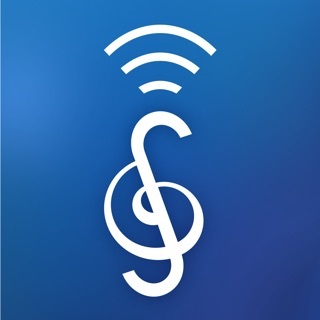 - Audio recording: Record up to ten audio clips in each song with clickable links embedded in the song sheet. 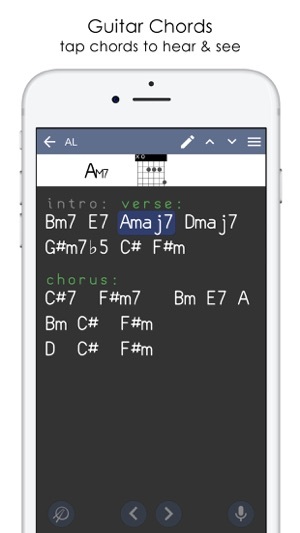 Perfect for sketching out song ideas, transcribing songs or simply as a reminder of a lyric, melody, rhythm or riff. 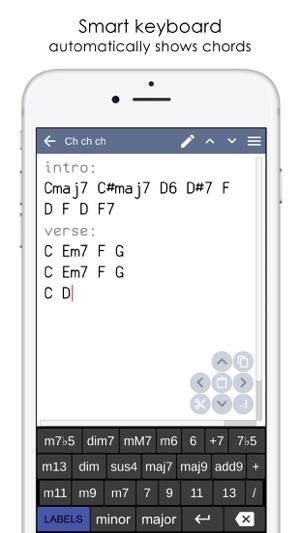 - Tap any chord in the song sheet and see the notes on the piano keyboard view or a guitar chord view. 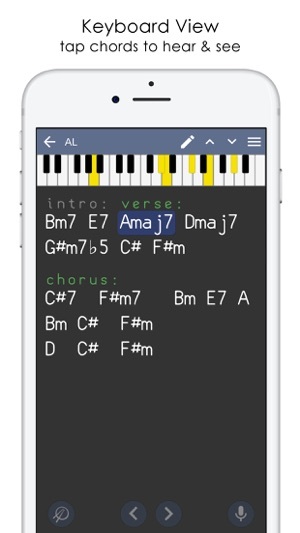 Helps you learn, write, rehearse, remember, share and gig. Songs are stored as plain text, with no special formats, Musician's Notebook looks for chord symbols in the text and presents chords as buttons you can play. 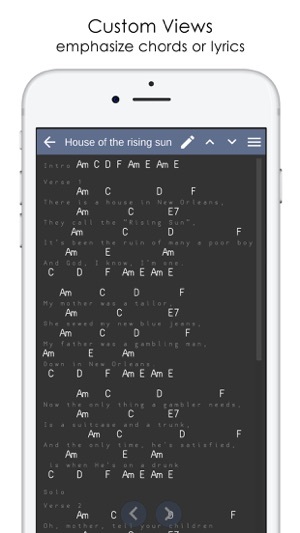 Since it is just text you can grab songs from anywhere, edit them anywhere or in the app itself. 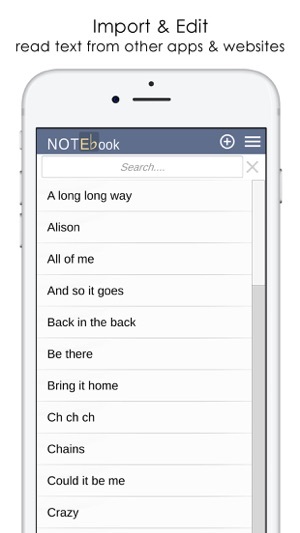 Jot down a song in Musician's Notebook and send it as an email or message to a band member or accompanist... they can load it and hear the chords straight away in their Musician's Notebook. This is probably the second review I’ve ever written in the 25 years of my life. 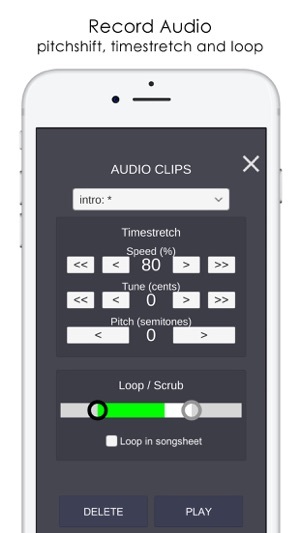 This app is so genius yet simple and it’s a must for all guitarist. I would’ve created it myself if these awesome developers didn’t do already. You guys are awesome and I am very grateful! Keep doing what your doing and you will be very successful! The volume settings on my phone say the volume is all the way up when I try pressing on a chord or press play but sound won’t come out which was the reason I wanted to buy the app. Hi, I suspect your device is muted, flicking the hardware toggle switch on the side should fix this. If it does fix it, it would be great if you could update your rating! We'll put something into the app in the next release to warn users about the mute setting, sorry for the inconvenience! Drop us an email at atsikno@gmail.com if you have any other questions, many thanks. Other than your description of what it can do, there’s nothing to get a new used started. Tapping on various icons I was able to figure some things out, but it shouldn’t be an Easter egg hunt. Also, it recorded what I played on my acoustic, but it doesn’t playback any audio, nor does it transcribe the chords I played.